Strawberries for dinner? This pasta toss is a quick fix for a busy night. Double up the recipe for a larger crowd or for leftover lunch the next day. Cook favorite pasta as directed. Use buckwheat pasta or other gluten free type if preferred. Sauté celery in oil for 2-3 minutes (softer with a bit of crunch). Add balsamic vinegar, and then strawberries and basil and toss for about 1 minute. 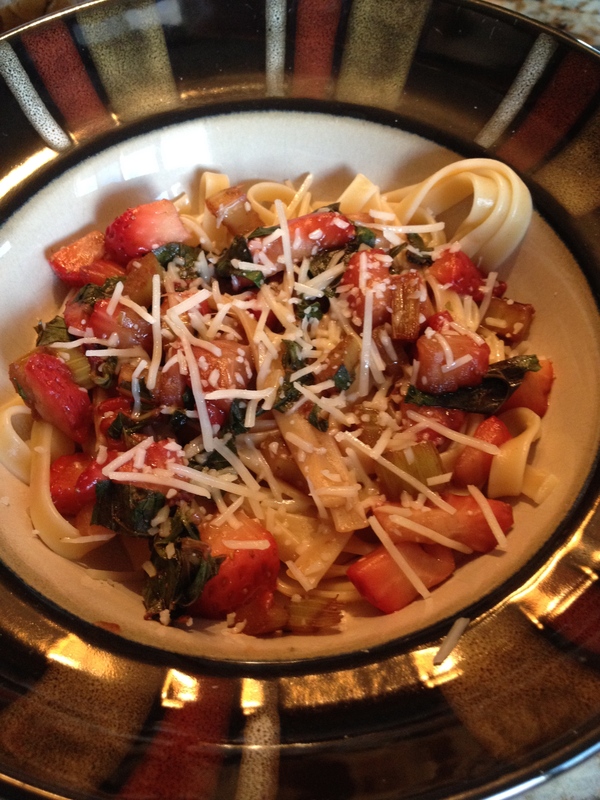 Add strawberry sauce onto pasta and sprinkle with Romano cheese and salt and pepper. Enjoy.